After the release of the highly anticipated iPhone 6, many technology companies, particularly carriers, have gone into fierce competition to win new subscribers and to retain their existing market share. AT&T Inc. (NYSE:T) isn’t left out either. The company has announced that it’s accepting trade-ins for old iPhones in exchange for iPhone 6 and giving $300 worth of credit to subscribers. Owing to Apple Inc’s wrench on the market, many carriers try to use new iPhone releases to attract more customers through deals. AT&T Inc. (NYSE:T) spokesman, Fletcher Cook, said that the trade-in will be effective September 12, the day when iPhone 6 variations will be available for pre-orders. The company however insists that the trade-ins must be in good working condition for anyone to qualify. Some other companies that have also offered deals on the iPhone 6 are Sprint Inc., Verizon Communications Inc., and T-Mobile. The companies are focusing on besting one another in order to take advantage of heavy data users and iPhone 6 fans. 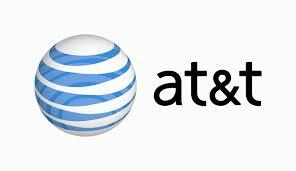 The AT&T Inc. (NYSE:T) deal offers users different plans. They have $32.50 per month 12 months plan and a $27.09 a month 18 months plan for the iPhone 6 entry level. For users who would like to own the 16GB iPhone 6 Plus, there is the $37.50 and $31.25 per month for the 12 months and 18 months respectively. Those who would like one-off payment also have great deals. The entry level iPhone 6 will be going for only $199 while the iPhone 6 Plus will be selling at only $299 plus a 2 year agreement on either. The deal is seen to be a possible way to attract more users to AT&T Inc. (NYSE:T) since it had earlier reduced its wireless pricing. A combination of the iPhone 6 deals and low service pricing might pull in more subscribers to their side. It’s my opportunity to own that iPhone 6!